In a fight that will determine how we see movies, the very essence of the Hollywood model is being challenged. 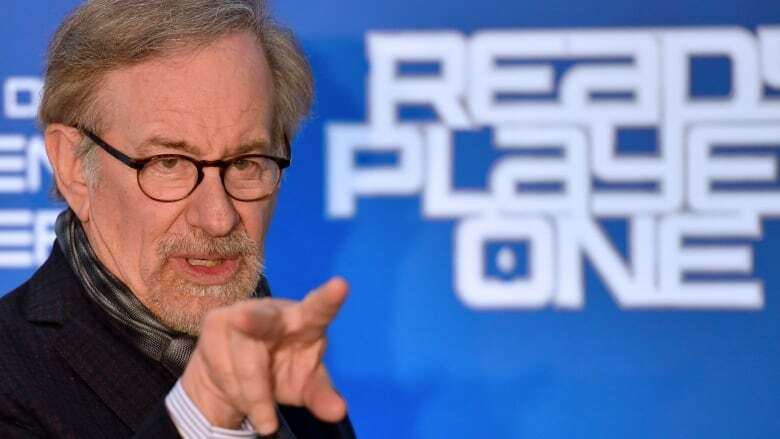 In the ongoing fight between the Hollywood old guard and streaming services such as Netflix and Amazon, Steven Spielberg has come out swinging. In a recent interview with ITV News in support of his upcoming film, Ready Player One, the famed director compared movies that premiere on a streaming service and skip the traditional theatrical releases to TV. "Once you commit to a television format, you're a TV movie," he said, fully implying made-for-TV movies' negative reputation. Spielberg went on to suggest that they should not be eligible for Academy Awards. "You certainly, if it's a good show, deserve an Emmy. But not an Oscar," he said. The comments come in light of the major inroads streaming services have made at award shows in recent years. Netflix has garnered eight Oscar nominations, most recently with four for Mudbound, which was up for best supporting actress, original song, adapted screenplay and cinematography. Amazon has already won an Oscar for 2016's Manchester by the Sea, and last year received another nomination for original screenplay for the comedy The Big Sick. While the Oscars have acknowledged these films are worthy of recognition, other prominent directors and institutions fall on the Spielberg side. Christopher Nolan (Dunkirk, The Dark Knight) has said he would never work with Netflix, citing the company's "bizarre aversion to supporting theatrical films," while the Cannes Film Festival just announced it would be banning Netflix films from competing, according to the Hollywood Reporter. Cannes artistic director Thierry Frémaux said that Netflix can still screen their films at Cannes, but they will not be considered for the coveted Palme d'Or. "The Netflix people loved the red carpet and would like to be present with other films. But they understand that the intransigence of their own model is now the opposite of ours," he said. The festival screened two Netflix films from established directors last year, Bong Joon-ho's Okja and Noah Baumbach's The Meyerowitz Stories, which both premiered on Netflix and in select theatres on the same day. Allowing the two films, neither of which had a French theatrical run, to enter Cannes was a controversial move that caused uproar within the French film establishment. It's one reason the Netflix logo was regularly met with a call of boos from the audience when it appeared onscreen before a film. Like Spielberg, Frémaux, who also banned selfies on the red carpet, draws a fine line between cinema and streaming. "The history of cinema and the history of the internet are two different things," he said, before emphasizing what appears to be a major sticking point: Netflix films do not get exclusive windows for theatrical releases before appearing online. "Last year, when we selected these two films, I thought I could convince Netflix to release them in cinemas. I was presumptuous, they refused." Update: Ted Sarandos, Netflix chief content officer, just confirmed that they would be pulling all of their films from Cannes, which includes Orson Welles' final unfinished film The Other Side of the Wind. "We want our films to be on fair ground with every other filmmaker," he said. No one can deny that streaming companies, lead by Netflix, are breaking the rules and changing how movies get made, as they commit huge amounts of money and grant complete artistic freedom to creators. Last year, Amazon spent $4.5 billion U.S. on original content, while Netflix spent more than $6 billion and has not been shy in its ambitions to spend even more — upwards of $8 billion — this year. But where Netflix differs from Amazon is how its films are released to the public. A 90-day exclusive theatrical release window is pretty standard, acting as a major cash boon for Hollywood, especially when it takes several months for a film to appear on DVD. If people really want to see a film, they have to go to the theatre to see it. Amazon still plays by these traditional rules, with Manchester enjoying a theatrical window of five months before appearing online. But Netflix completely rejects that model, insisting on making content available on its service as soon as possible. Sarandos outlined Netflix's plan, saying that both he and CEO Reed Hasting share the same contrarian thinking that allows them to challenge the status quo. "Look, if the only reason you do things is because that's the way you do them, that's not good enough," he told indiewire. Will movies be available at home sooner in the future? On the plus side, streaming companies have resulted in more movies getting made and more creators getting paid, and they've even bailed out some major productions that otherwise may not have seen the light of the day. Martin Scorsese is currently filming The Irishman for Netflix — a film starring Robert De Niro, Al Pacino and Harvey Keitel that's based on the bestselling book by Frank Sheeran, who claimed to have killed Jimmy Hoffa. It was going to be distributed domestically through Paramount Pictures, but when production costs got out of hand (reportedly due to the visual effects it would take to make DeNiro look 30 years younger in flashback scenes), the film was dropped. That's when Netflix stepped in. While Scorsese and Netflix have been silent on theatrical release plans for the Irishman, expected in 2019 (if it appears in theatres and online simultaneously, it will be a first for Scorsese), a more recent and telling example can be found in Annihilation, from writer/director Alex Garland and starring Natalie Portman. That film was released in North America and China in theatres, but was available on Netflix everywhere else less than three weeks later. Internationally, it didn't receive a theatrical release at all, as Paramount decided to sell those rights to the streaming service. It was a strange hybrid between the Netflix model and a more traditional approach, allowing select audiences the chance to see it in theatres, albeit with a much shorter window of about three weeks. While it "gutted" at least one of the actors, David Gyasi, and Garland expressed his own disappointment — "We didn't make it for the small screen. We made it for the big screen," he said — it hints at a possible scenario in which we will see theatrical release windows greatly reduced. While old Hollywood continues to fight the Netflix model (even Disney has committed to pulling all of its titles from the service), more and more seem to be warming up to the idea. "People do want to see movies, and can't always get to the theatre," J.J. Abrams, whose The Cloverfield Paradox was released on Netflix last month, said recently when asked about collapsing theatrical windows. "It seems like an inevitable thing that movies become available at a premium." Audiences are going to find a way to watch movies one way or the other, and are willing to pay for it, but the industry itself is split on whether that will be at home or at the theatre.